Microsoft: "when you see the future you'll understand why"
Ask Microsoft why certain features aren't in Windows Phone 7 and the usual answer is that when you develop a new operating system in 18 months flat you have to make some hard choices about what you can get done in time and what's most important to the experience. That's the reason behind no copy and paste until 2011 and no tethering as a modem. 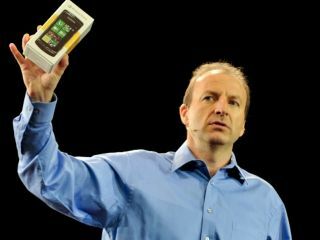 But that's only one of the reasons why Windows Phone 7 doesn't come with Flash, according to Microsoft's Andy Lees, now president of the mobile communications division. The other (which is also the reason why a phone that runs Silverlight apps can't load Silverlight in web pages) gives us some much more interesting hints about the future architecture of Microsoft's mobile browser. "It's not a religious thing; we support standard H.264 video in the browser. We're not allergic to Flash, we're not allergic to Silverlight, we're not allergic to HTML5 – but this [Windows Phone 7 browser] doesn't support it," he told TechRadar. "We don't have the extensibility model inside the browser for those pieces and when you see the future I think you'll understand why." Microsoft calls the Windows Phone 7 browser "halfway between IE7 and IE8" but that's in terms of displaying HTML web pages rather than full browser features, and while Adobe is working on Flash for Windows Phone, it has to plug into the browser. And as Lees told TechRadar, "there is no ActiveX plug-in extensibility because of the security model; we're not going to do that. And with no ActiveX plug-in model, how would we do Flash?" Could Microsoft have done something special just for Flash (and Silverlight)? Again, it's not just about how much time they had. "We don't want to open that up and then take it away; that would be bad. Browsers are going to a different extensibility model." Flash in Chrome gets faster communication, and it also means you can isolate Flash in each tab, along with the rest of the web page; if Flash crashes in one tab it won't crash in the other web pages you're browsing, and it can improve security as well. If IE on future versions of Windows Phone is going to use that kind of extensibility model, it could help with worries that running Flash or Silverlight designed for the PC would hammer battery life, because getting better performance and managing the runtimes as part of the same process will mean better battery life (the sooner you finish running code and turn the processor back off, the less power it uses). Lees is very firm about not talking about the roadmap of Windows Phone, but this is an intriguing hint about possible future directions, and another way mobile browsers might be catching up to the state of the art in desktop browsing.